Here is a map shows territory of Russia. free map of Zheleznodorozhnyy with gps calibration for you. detailed map of Zaozer'ye download for free. free map of Vyatkina presented. free map of Baza this. interesting map of Vizhay displayed. map of Verkhnyaya Yayva for you. interesting map of Verkhnyaya Usolka with gps calibration presented. free map of Troitsk 1 cm to 1 km this. topographic map of Trenina download for free. actual map of Surmog calibrated this. 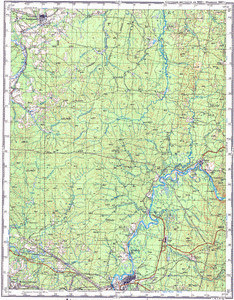 free map of Sidorova calibrated for Garmin. interesting map of Shishi for gps. topographic map of Safonovo presented. topographic map of Popova 1 cm to 1 km here. actual map of Polovodovo here. detailed map of Nartina for you. topographic map of Kyrog и OziExplorer calibration presented.